Our staff is well-trained, compassionate, and attentive to each patient's individualized needs and desires. Together as a cohesive and professional team, we will attain your dental goals. We will achieve this in a calm and pleasant environment, helping you feel confident in the quality of the care you have received. Dealing with dental health issues can be a difficult situation. You shouldn’t have to go it alone. The Cedar Creek Dental team of certified, highly skilled, and experienced care providers always have our patients’ best interests and well-being at heart. Meet the faces that are running our Dental Clinic, and schedule an appointment today. At the core of our dental practice is a friendly team of professionals that are dedicated to your utmost comfort and optimal oral health. We view each patient as a unique individual and tailor the treatments and procedures to meet your specific needs and goals. Education and prevention is our highest priority and is central to practicing minimally invasive dentistry. Dr. Han has had personal experience with dental anxiety as a child and takes pride in coaching you, the patient, through your visit! 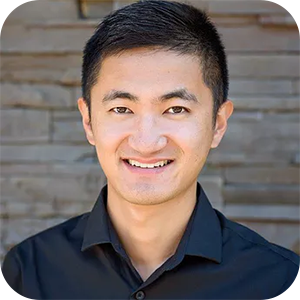 Dr. Han grew up in the Portland area, went to high school in Hillsboro, college at the University of Oregon and graduated from OHSU in 2013. Dr. Han attended a General Practice Residency at Jacobi Medical Center in the Bronx NYC treating a diverse group of people from all walks of life. He has volunteered with Wide Open Humanitarian, Give Kids a Smile, Special Olympics, and other medical/dental teams. In his free time, he enjoys playing tennis, hiking, cooking, and watching movies and TV shows. 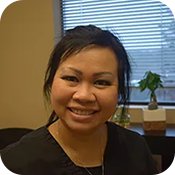 In the dental industry since 1996, we are grateful to have Letty as part of our team! 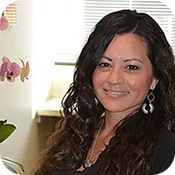 Letty loves to help our patients feel cared for and at home in our office. When not at the office Letty enjoys spending time outdoors and staying active. Robin brings her years of experience and compassionate treatment style to our practice. Outside of work she is an avid gardener, world traveled sculptor and always looking for a reason to dig in the dirt. Robin has extensive experience helping kids enjoy their dental checkups and cleanings! 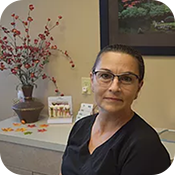 Leanna has over 20 years of experience in dentistry. Extremely passionate about helping and educating patients from kids to adults, you will be in excellent hands with Leanna at your side. In her spare time, she adores her Australian shepherd Max and taking care of her 3 year old toddler, Nolan. She is an excellent home cook so ask her about recipes!